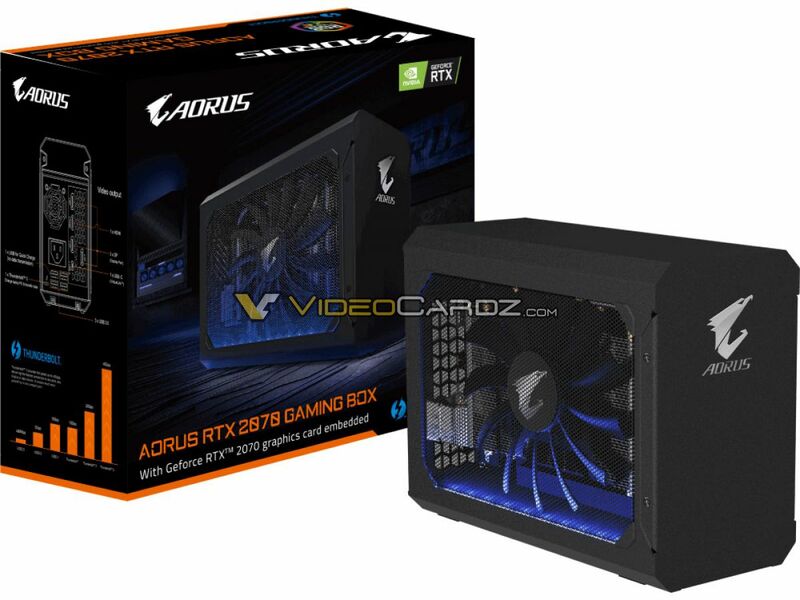 Gigabyte is set to release GeForce RTX-based gaming box for mobile gaming. Here is the first picture of Gigabyte’s GeForce RTX-based gaming box for mobile gaming. The box equipped with GeForce RTX 2070 graphics features: 1x HDMI, 3x DisplayPort, 1x USB-C, 1x ThunderBolt 3 and three USB ports. The Gaming Box is meant to transform ultrathin/ultrabook laptops into gaming platforms. The device requires external power from the outlet, so is not a battery-powered gaming device. It is, however, portable and small, a perfect travel companion for casual gamers?